Cherry blossoms are a much-celebrated flower that can absolutely take the breath away. 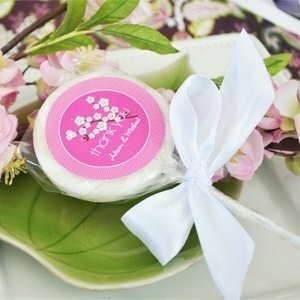 Add a unique touch to your event with our cherry blossom themed lollipop favors. 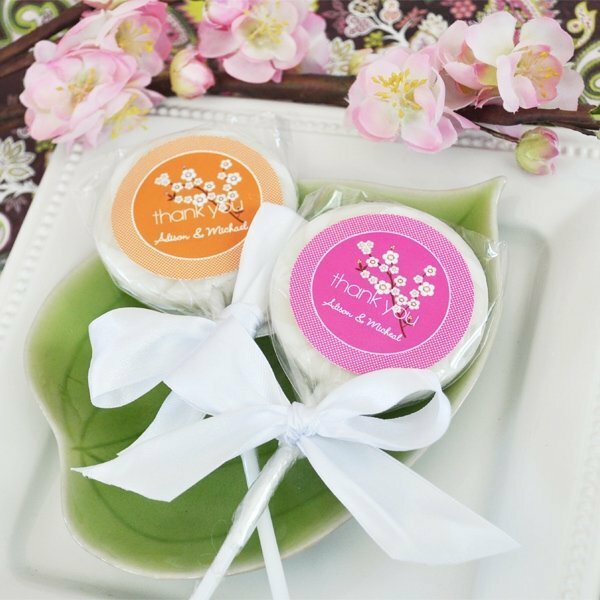 We personalize each favor with your choice of color and cherry blossom design along with 2 lines of custom text. Each lollipop comes carefully wrapped in cellophane and tied with a white bow. Measures 2.5" diameter and 7 3/8" long. Some assembly required to attach self-stick labels to lollipop favors.